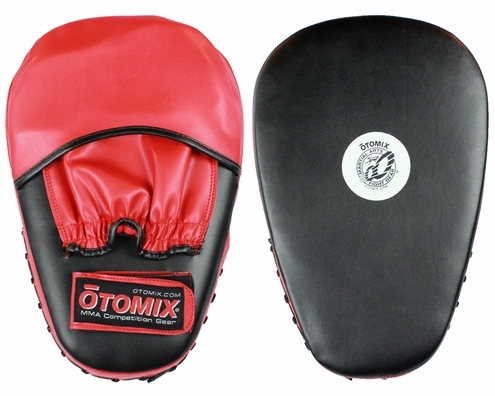 A focus mitt is essential for all martial arts training. Whether you practice MMA, Taekwondo, or boxing you need focus mitts. This mitt is used like a glove but has ample padding for protection while practicing strikes. The padding is thicker at the top of the mitt where more strikes occurs. It is made out of a faux leather material that is very durable. The inner core has dense foam lining the striking area. The back has less dense foam to cushion the blows. You slide your hand in the back and secure your wrist using the 1.5� wide Velcro strap. Mitt fits either right or left hand. Measures 13� x 8.5� and is 4� thick. Also check out our Curved Focus Targets.